Do you agree that keeping thousands of dollars’ worth of equipment and the information of clients in Las Vegas, Nevada secure is a tough feat to accomplish when you are working in another city or state? If you have experienced this, you will love the options we have to offer at Slideoo Storage Containers in Las Vegas, NV. We ordinarily have all of the units in stock at our Las Vegas location and ready to ship within a day or two. To top it all off, we understand that you do not have an unlimited supply of cash, so we can work with any budget. For help with your storage container needs, give us a call at (866) 578-5244 today. We have the largest selection of storage and mobile office rentals in the Las Vegas, NV area. When leasing one of our storage containers, you can choose from our 10, 20, 40 or 48-foot versions. If you are wanting to store equipment and smaller tools, our 10 and 20-foot portable storage units are great. Our 40 and 48-foot options are better choices for locking up big power tools, pallets along with other similar items. Our company also stocks a wide array of mobile office leases. Some of our customers rent our basic portable office, which measures 8-feet wide by 20-feet long and it comes with shelving and a desk. However, many of our customers also choose to upgrade to our luxurious, 24-foot by 60-foot model due to its luxurious features, such as multiple bathrooms and offices and the desks and shelves found in the base model. We believe that our choice of mobile storage in itself allows us to assist a lot of people just like you in the Las Vegas, NV area, but this does not excuse us from providing superb customer service. If we were not there to help you select the ideal mobile office or storage unit, we would feel as if we were not doing our job. Since this is the situation, we will ask you about your personal needs even if you are pretty sure you already know which one you need to ensure we are providing you with the best deal. To help make the process even easier, you can rely on us to have the portable offices on your site at the pre-arranged time. Storage containers and portable offices have grown to be extremely invaluable over time since they lock up the gear that thieves in Las Vegas, NV would otherwise have their eyes fixed on. To make storage containers even more valuable, our team at Slideoo Storage Containers will even transport them to your site, set them up and haul them away when you are finished with them. When you need a portable storage container or a mobile office for your upcoming project or if you would like to learn more about our portable storage container products, call (866) 578-5244 at this time. What Styles of Storage Containers Do You Provide in Las Vegas, Nevada? You can choose between 10, 20, 40 and 48-foot storage containers in Las Vegas, Nevada. What Security Measures Do Your Portable Storage Units in Las Vegas, NV Include? Security will not be a question with our portable storage units within Las Vegas, NV due to their steel construction and hefty lock. To acquire more information, have a look at a lot of our service areas: storage containers Manitou Springs. What Mobile Office Choices Do You Have in Las Vegas? 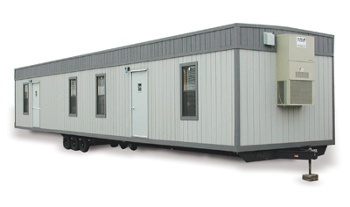 The mobile office units we offer in Las Vegas can have dimensions from 8-feet by 20-feet to 24-feet by 60-feet. Desks, shelves and a reasonable amount of space to conduct meetings and give your employees a place to freshen up while on break are included with our smallest option. The bigger models include everything found in the base model, but they also boast restroom facilities in addition to a number of offices. Do You Supply Optional Accesories for Mobile Office Models in Las Vegas? Absolutely, you can add virtually anything to any size of mobile office in Las Vegas as long as you let us know what your individual needs are, so we can point you in the right direction. For an entire list of the options you can add to a mobile office, please do not wait to call Slideoo Storage Containers at (866) 578-5244. Our substantial level of experience in the market permits us to ensure that we are helping you in choosing the perfect product for your needs. Not only does this make sure that you save as much money as you can and increase the odds you will come back to us in the future, but it also permits us to get to know you as an individual rather than simply a customer. In many cases, we can have your unit to your site within 24 hours. Having said that, we recommend arranging for the delivery two or three days in advance, so you are not taking the risk of stalling your project because of the unit being leased out to another customer. Make sure you call Slideoo Storage Containers at (866) 578-5244 now to arrange the rental of a mobile office or container. The amenities and sizes of our storage containers and offices will determine their individual prices. With that being said, you will quickly discover that we have a storage and office unit that will work with every budget without you feeling like you need to make big compensations. Looking For a Mobile Office in Las Vegas?